Nikolas Gauvreau has his fingers crossed this month. The founder of Universal Projects is halfway through his Kickstarter campaign, although he has only raised a little over 5% of his $275,000 target. Gauvreau is developing a game that will let players ‘mine’ dogecoin, without a hardware mining rig in sight. He has been working on his brainchild for 17 years. 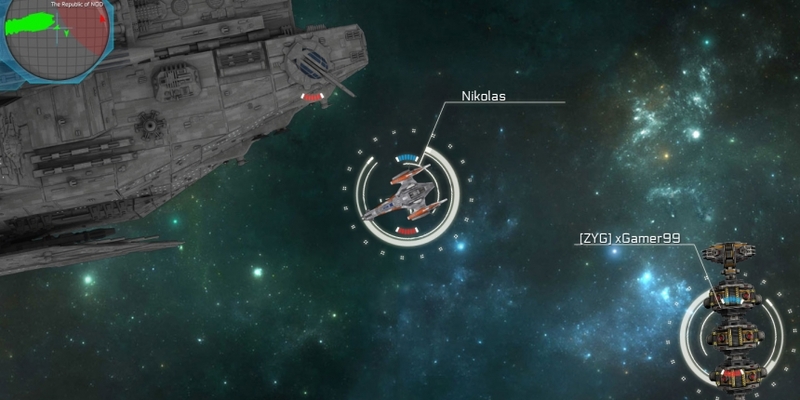 Called VoidSpace, it is a massively multiplayer online role-playing game (MMORPG), set in a massive space universe, that is almost entirely empty when the user first arrives. Players proceed to jet around the universe, mining raw natural resources. They can use the natural resources they collect to build manufacturing facilities and create more sophisticated items. They can also trade goods and raw materials with each other. They can also club together in alliances, and take on other groups of players. It’s a little like the online space role-playing game Eve Online, but there are many differences. The game is ‘organic’, with many variations on different objects. The universe also scales in size, getting larger as more players enter it. Other online games generally use their own in-game currencies. Eve Online has the ISK, while World Of Warcraft has gold (virtual, not physical). But the Ottawa, Canada-based programmer said he is adopting dogecoin as his in-game currency. Gauvreau is experimenting with a couple of options for dogecoin in the game. The first involves ‘mining’ dogecoins as a natural resource, scattered throughout the universe. The second option involves using doge for financial transactions, where players can trade goods with each other. We have seen online gaming companies flirt with cryptocurrencies before. Casual gaming firm Zynga, for example, flirted with bitcoin as a means of taking in-app payments. But there haven’t been many games that have integrated cryptocurrencies intimately. One such game is more or less simply a mining client for the cryptocurrency. In huntercoin, the cryptocurrency and the game are effectively one and the same. A 2-D map, displayed in the client, enables people to compete with each other, traversing the landscape with their characters, to find coins that spawn randomly. Players can race with and destroy other players to collect coins. Their successes and failures are recorded in the huntercoin block chain, and the coins are traded. Peter Earle, chief economist at cryptocurrency marketing firm Humint, has studied virtual economies, particularly in the gaming world. “What’s interesting about game economies is that they are a really ripe area for exploration,” he said, adding that they can be petri-dishes for economic theory. One danger of bringing a currency into a game environment with utility outside is that one domain can pollute the other. Is it fair, for example, for someone with a large stash of dogecoin to come in and buy up resources that other players would have to work weeks to attain? The potential size of the game will stop people from being able to buy their way to kingpin status, he argued. There won’t be a central location in the game to go and trade with people. And the universe can scale to such a size that players will easily be able to escape high-rollers if they want to move to a different part of the universe. In any case, as he points out, other games have had similar problems, even with their own in-game currencies. World of Warcraft, for example, suffered from gold farmers. These real-world workers would sit tirelessly playing the game, becoming experts and relentlessly owning gold which could then be sold on real-life exchanges. Many of them worked in Asia, where earning potential and cost of living are relatively low, making it a profitable enterprise. These ventures worked because there were real-world exchanges on which people could buy and sell World of Warcraft gold, or assets owned in the game. Economics, like nature, abhors a vacuum and will work to fill it. In this case, it bridges the gap between real and imagined markets (and honestly, in a world of derivatives, non-asset-backed units of exchange and paperless money, it is sometimes difficult to tell the difference). Dogecoin won’t be the only way to pay for participation in VoidSpace. Users will also be able to pay with a straightforward PayPal transaction. But if they want to begin the game with dogecoin, then they will have to make their payment to VoidSpace through cryptographic payments platform Moolah. Using Moolah also enables Gauvreau to accept other forms of cryptocurrency that can be converted to dogecoin, including bitcoin. If players earn dogecoin in the game, they must also withdraw it via Moolah. Gauvreau has a long way to go. He has two weeks to reach over a quarter of $1m, and is nowhere near that target. He gets none of the $15,000 that he has raised at the time of writing unless he hits that final target. But the game isn’t going away, said Gauvreau, who has spent the last 18 months working full time on the game with no income, after leaving his job coding for a telecommunications company. “It would drag the timeline out a little bit,” he said, explaining that the $275,000 fundraising target is what he needs to complete the game. That’s roughly 50% open source at the moment. The game has just been given the green light for distribution on the Steam video game network, boosting his enthusiasm to get it done. His plight brings to mind the documentary Indie Game, in which three sets of independent game developers go against all odds to release their titles. Approaching angel investors would be the next stop, and he would also have to take up part time work, but he’s not fazed. “This is something that I have been devoting my life to since I was 16. I have no intention of letting this go ever,” he said. Dogecoin started as a joke, and Gauvreau’s serious. Will he succeed?